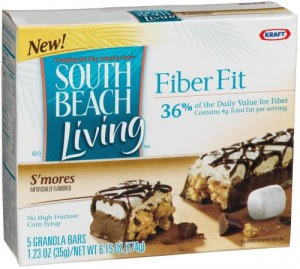 Thrifty and Frugal Living: Free Sample of South Beach Living S'mores Bar Again!! Free Sample of South Beach Living S'mores Bar Again!! This yummy sample is available again! I received my freebie in the mail and it was really good, so don't miss this. It looks like you can't get it if you got it before, but you can print a coupon. Go here to sign up and click the box at the bottom saying you would rather have a free sample when the coupon page pops up.